I love basing minis and making dioramas. Unfortunately, there is not a lot of room on a 1 inch square base to create much environment and effects. Just for fun, I have put together those 2 bases recently. I have no idea what mini will go on these but anyway, they were fun to build and will certainly be useful eventually. 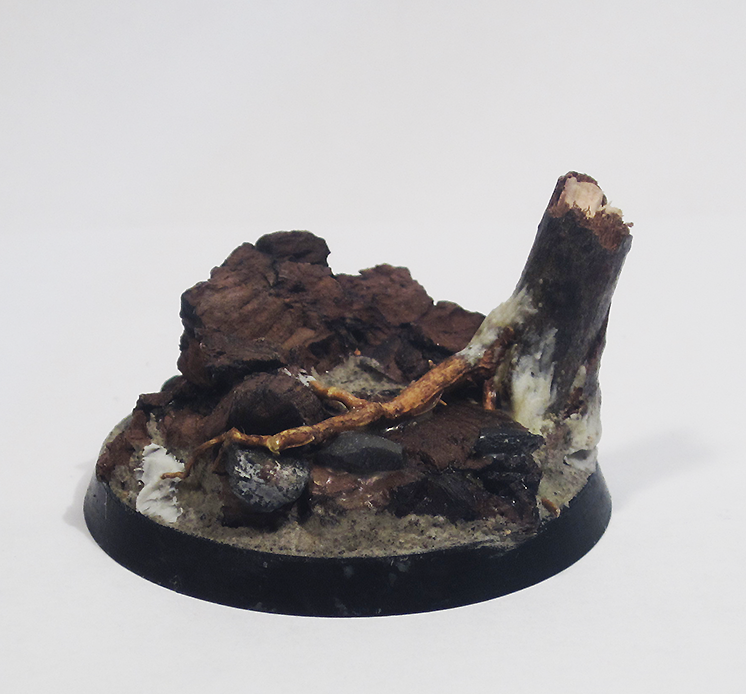 This woodland theme base was made with cork, a small broken branch, some dried roots and rocks all glued with PVA glue. I used a bit of Magic Sculpt putty to soften the transition between the elements and to sculpt bark. 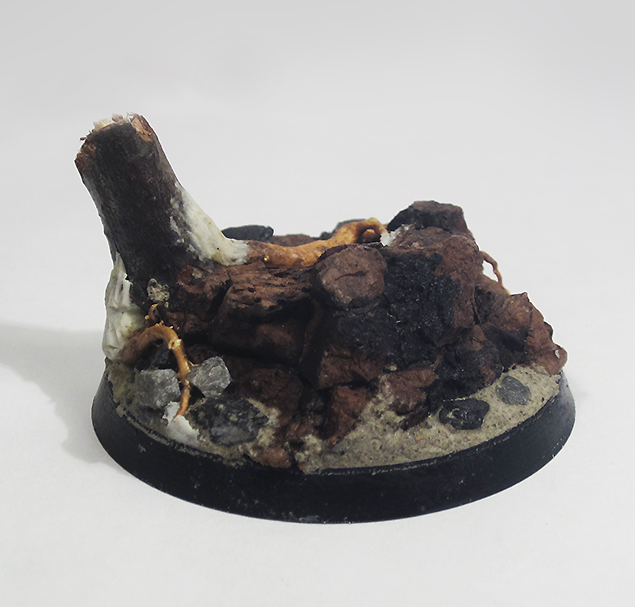 Then, I tried something different with a ruin theme base. For this one I casted a 5mm thick “plate” of plaster. Once almost dried, I used an x-acto and a pin to scribe brick and mosaic patterns on the plaster. I then waited for it to harden fully. The following day, I broke the “plate” in small fragments of various sizes and made this base by gluing interesting pieces on a plastic base with PVA glue. 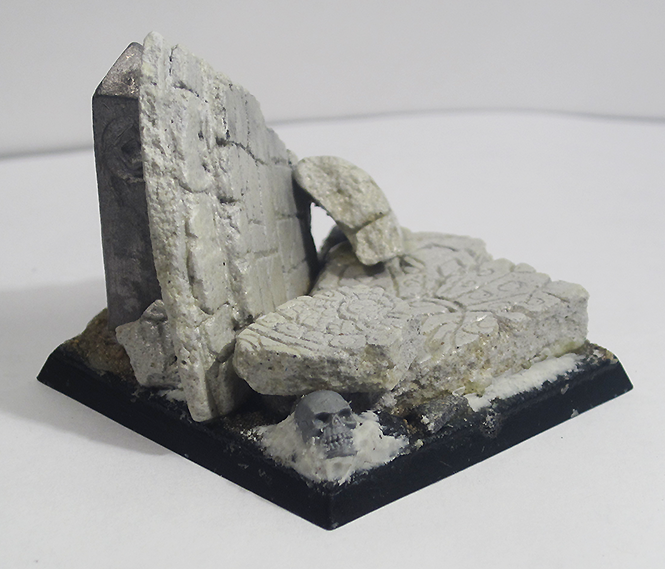 Again, some rocks, sand and a bit of Magic Sculpt (and a Games Workshop plastic skull) were used to blend in the different elements and give a sense of realism and scale to the whole base. 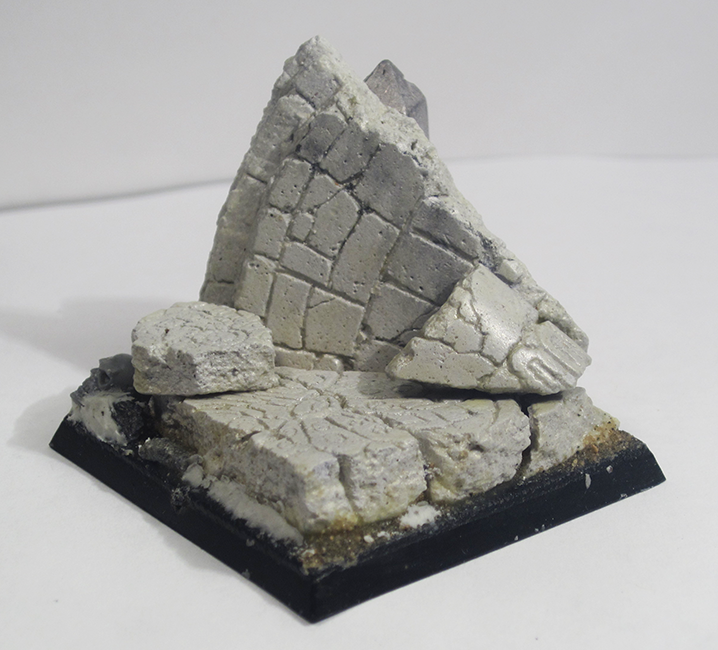 I still have a lot of plaster ruin pieces left from this experiment, enough to make 2 or 3 more similar bases. Cool!